The other day, my friend gave me two salmon steaks she didn’t fancy cooking. I was having a lazy day and didn’t really want to cook; didn’t want to refreeze the fish ether. So. 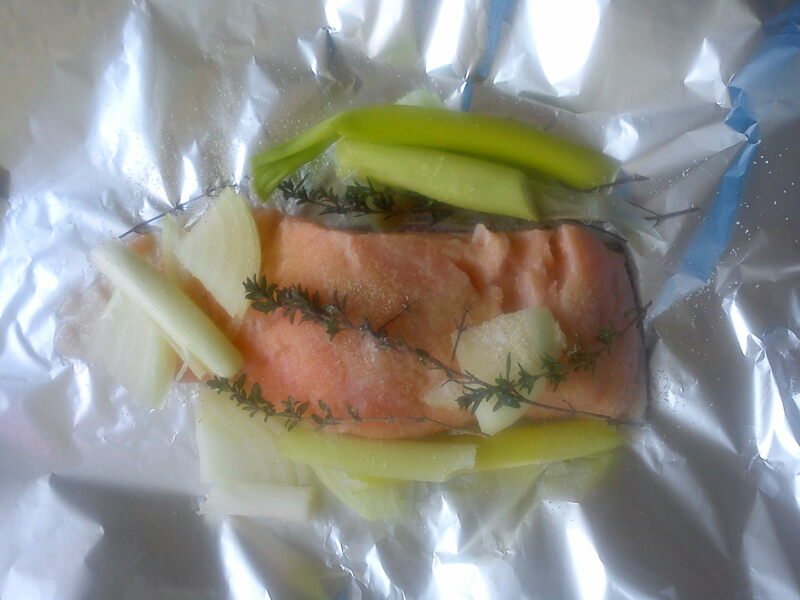 I prep the salmon, placed individual piece separately in a large enough piece of foil. In each parcel, I added 3 twigs of thyme, some slices of yellow peppers, 2 roughly cut spring onion leaves, 1 chopped garlic clove, a pinch of salt and a drizzle of pure olive oil. Close individual parcel to look like a purse. In a pot, place a little dish face down in the bottom of the pot. And place your parcels on top of this plate in the pot. This way, the fish will cook only with the team and will not touch the water in the pot as it boils. (it is an I am sure an African trick). In the same pan, I have also added some peeled swede to accompany my dish. this will also just cook with the steam coming from the bottom of the pot. Leave to cook for 25 minutes. Keep an eye on your pot to make sure that you add water when it dries out. To add water, do not pour it directly on your parcels, but on the side of the pot. Watch out as a rush of steam come up from beneath the plate. Once the 25minutes are over, open your parcels and delicately place the content of the parcel from the foil to the serving plate pour on the juice from the parcel and add some quilted Swedish bread to soak in all that juice … Waste not innit? 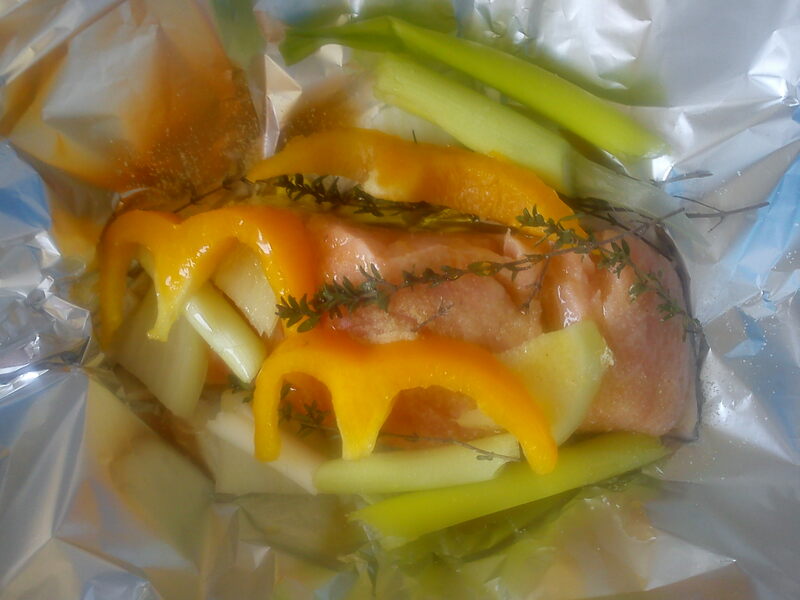 This entry was posted in Main meals and tagged Carrot, En papillote, fish, rutabaga, Salmon, Swede. Bookmark the permalink.